Stop the Small Talk! The Meeting is Over! Last week, I attended a business meeting scheduled for 90 minutes. In the past, this strategic meeting usually consumed all the allowed time. However, on this day, the discussion moved quickly and we were done in a speedy 60 minutes. I started gathering my stuff and was ready to stand up, when the coordinator asked the following: “Before we go, does anyone have any questions?” No way! This is a lethal question, and one that should be avoided. There is always someone in the room who doesn’t have anything going on, and lives for meetings. This person will invariably have a series of questions. Sure enough, one person asked: “Can you go over what the requirements are for the next meeting?” The problem I have with this question is that the requirements were provided in the handout to participants. This is an unnecessary question, and it required about five minutes of discussion. Soon after, another person decided to ask, “How many of these meetings are we supposed to make? I have a wedding to attend in January, and I might have to miss any meeting that falls during that week.” Again, all the meetings were specifically noted in an email sent to committee members. There was no reason for this question. What disturbed me the most from this meeting was that there was no sense of urgency. It appeared that no one else had any pressing work. 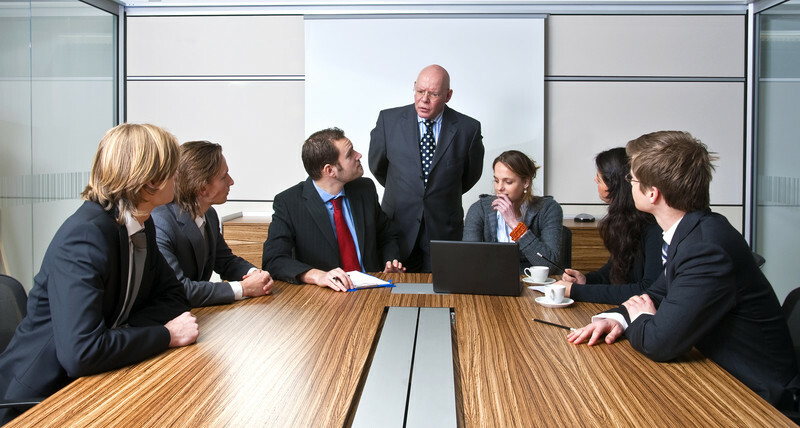 From my experience working in the corporate world, I know that everyone wants to keep meetings tight. Once the agenda items are addressed, and the action points assigned, you can disband and get back to work. In other words, you don’t have to use all the allotted time. However, in this particular meeting, everyone was content to sit there until the last minute. One person did break out her laptop. I’m unsure if she was reviewing her email account or checking her Facebook page. Regardless, her mind drifted far away from the meeting. I noticed a slight smile on her face, and I’m sure it had nothing to do with our meeting proceedings. I waited another 10 minutes, and the discussion transitioned from asking questions to small talk. One guy was laughing far too loud for my liking. There was nothing funny about this meeting. It was time for me to go. I stood up, thanked everyone for a “wonderful” meeting, and made a beeline for the door. Before long, I was in my car and heading back to work. I thought about whether I was becoming impatient, or if this meeting was really dragging too long. I suppose the answer lies somewhere in the middle. Regardless, I am confident that most leaders today are focused on productivity, and small talk during meetings falls short of getting things done.